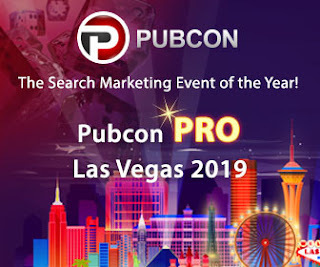 On February 21, 2018 I, once again, had the honor to do a presentation at a Pubcon event. In this case, it was the 1-day local event in Austin, TX. It was great to meet up with other experts in the digital marketing community, swap stories and ideas and learn from some of the best in the business. 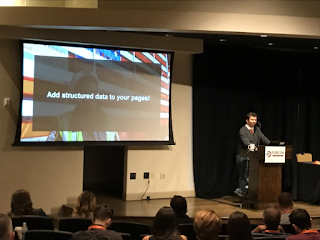 Of all the great presentations I sat in on, one central theme seemed to surface throughout the day: Website owners need to get going on Structured Data tagging. As I said in my presentation, "You need to make Schema.org your new, favorite website. 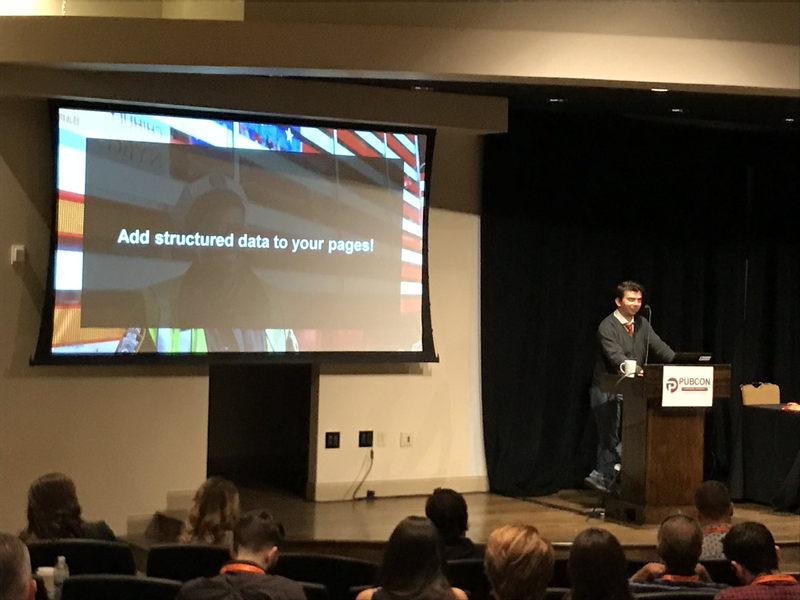 The first mention of structured data tagging was from Google's Gary Illyes during his kickoff keynote. He said several things regarding Schema, but the most important thing was that "Schema is here to stay," and he strongly encouraged website owners to start leveraging that. He even mentioned that some types of content, such as job listings and recipes, wouldn't even rank if it wasn't marked up with Schema. Both Upasna Gautam and I mentioned structured data and Schema in the presentations we did on Semantic Search and Entity Optimization. Another prominent speaker who brought up structured data tagging was Duane Forrester. He mentioned two things that struck me. One was that higher level SEO jobs are likely to evolve into what he termed "Digital Knowledge Manager." This person will be responsible for working with tech, development, content and product teams in order to better optimize website content to function better in the evolving search results. The second thing: A key part of the success of the Digital Knowledge Manager will be ... structured data. He also tied structured data to success in voice search results. I don't remember his exact words, but they prompted me to tweet, "Another ominous warning: Get going on structured data now! Your future depends on it." The last mentions of structured data were from Microsoft's Purna Virji, who also related this back to voice search results - this time from a Bing perspective. Still, the message was the same. According to February 28, 2018 data by W3Techs, 54% of websites they survey use no structured data whatsoever. That indicates that a lot of you website owners/managers/SEOs need to get going and start leveraging this tech. It's more than just a fad at this point - and it may end up being more of a directive than a hint from the search engines. Quick note: My next speaking appearance will be at the Pubcon Florida event, April 10-12, 2018. I will do an updated version of my Entity Optimization presentation and will be moderating two other sessions during the week.